Both the United Nations and ecumenical Christian groups are calling upon the government of Zimbabwe to end the violence there and postpone the June 27 presidential runoff election. And, as United Methodists and other Christians participated in a worldwide day of prayer for Zimbabwe on June 22, the leader of the opposition party candidate for president withdrew from that election. Morgan Tsvangirai—considered by many to be the unofficial winner over Zimbabwe President Robert Mugabe in the March 29 presidential election—said he was concerned that the lives of voters would be at risk if he participated "in this violent, illegitimate sham of an election process," the New York Times reported. 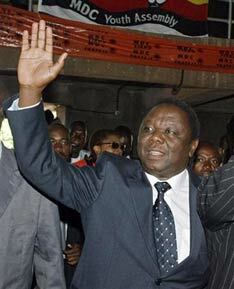 Tsvangirai then took refuge at the Dutch Embassy in Harare, the capital of Zimbabwe. The prayers for Zimbabwe will continue, according to Bishop Felton E. May, currently serving as interim top executive of the United Methodist Board of Global Ministries. "On Sunday, June 22, we celebrated in prayer our hope for peace and justice in Zimbabwe, and in every country in the world where there is discord, oppression, and war," he said. "We continue that prayer today. We pray that peace and justice will become an everyday reality for the people of Zimbabwe." On June 23, the U.N. Security Council issued a statement expressing regret "that the campaign of violence and the restrictions on the political opposition have made it impossible for a free and fair election to take place on 27 June." Ban Ki-Moon, the U.N. secretary-general, had separately condemned the election-related violence and called for authorities in Zimbabwe to postpone the election, saying it "would lack all legitimacy." A joint letter from the World Council of Churches and World Student Christian Federation, issued June 24 in Geneva, welcomed the statements by Ban, the U.N. Security Council and the Southern Africa Development Community. The United Methodist Church is a part of both the WCC and WSCF. Addressed to the United Nations, Southern Africa Development Community and African Union, the letter requested "direct urgent attention to the humanitarian needs of the people of Zimbabwe, their freedom to exercise religion, the destabilization of the political situation and the need to end human rights abuses." The letter also asked for a reaffirmation of democratic elections. 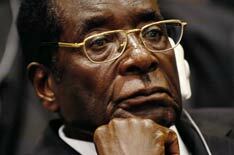 "The international community must insist on a political solution to the question of leadership in Zimbabwe," it said. "This may involve a postponement of the election, giving the time for the establishment of control mechanisms based on internationally accepted standards that would guarantee the unhindered expression of will of the people of Zimbabwe through truly free and fair elections." The Rev. Samuel Kobia, a Methodist from Kenya who leads the World Council of Churches, had sent a letter to the U.N. secretary-general on June 18, offering "an extensive dossier" of information regarding violence and intimidation in Zimbabwe, prepared by the Dutch Reformed Church in South Africa, and calling upon the international community to protect the Zimbabwean people. The World Council of Churches also asked Christians worldwide to observe a day of prayer for Zimbabwe on June 22. The day of prayer was initiated by Christians in Zimbabwe. May had joined Kobia in calling on Christians to join their Zimbabwean sisters and brothers in prayers for peace and justice. "Prayer is a powerful offering that Christians can make in politically troubled times and places," May stated. "I urge United Methodists in our global mission connection to pray diligently with Zimbabwean brothers and sisters for a peaceful electoral process that will lead to justice and prosperity for their country." Bishop Timothy Whitaker of the United Methodist Florida Annual (regional) Conference also endorsed the call for prayer, and sent out an "e-mail blast" that encouraged "every church in the Florida Conference to lift up Zimbabwe in prayer during their worship services." by Tech. Sgt. Jeremy Lock (USAF). "We know of the problems in Zimbabwe and also the keen care and concern of The United Methodist Church there," said Whitaker. "There are many United Methodists in Zimbabwe, and it is also the home of our Africa University." In Germany, United Methodist Bishop Rosemarie Wenner sent a pastoral letter and prayer request for the people of Zimbabwe to all local churches and annual conferences delegates within her episcopal area. The WCC/WSCF letter also focused on the need for humanitarian assistance in Zimbabwe, especially since Mugabe barred international aid agencies from the country. "Reports from those in and outside Zimbabwe persuade us that international intervention is now needed to distribute much-needed food aid," the letter said. "The government’s decision to end food distribution by international agencies has led only to political isolation and increased suffering. Food and medicine are in particular demand, with the imminent threat of starvation in some areas." The United Methodist Committee on Relief is providing some humanitarian assistance in Zimbabwe, assisting a partner organization there that is distributing food and medicine to communities and clinics serving the most vulnerable. UMCOR is helping pay to transport the goods to areas most affected by food shortages and politically-related violence. Donations to UMCOR Advance No. 199456, Zimbabwe Emergency, can be dropped into church offering plates or mailed directly to UMCOR, P.O. Box 9068, New York, N.Y. 10087-9068. Write the Advance number and name on the memo line of the check. Credit card donations are accepted online at www.givetomission.org or by phone at (800) 554-8583.